From images of Vladimir Lenin promising “Land to the peasants!” to those of Mao Zedong declaring the Cultural Revolution, communist regimes have relied on powerful—and often beautifully wrought—artwork to ensure the successes of their revolutions. Because of their ease of distribution, posters in particular have figured as central vehicles of propaganda in nearly every communist nation. In this book, Mary Ginsberg offers the first truly global survey of the history and variety of communist poster art. Enriched with essays by several experts in a variety of regions, this collection showcases an extraordinary variety of communist art coming from the Soviet Union, China, Mongolia, North Korea, Vietnam, Cuba, and several countries in Eastern Europe. Together they show how effectively posters were used as tools of mobilization, instruction, censure, debate, and manipulation of public thought and opinion. As this collection shows, posters were used not only to promote the authority of the state and its revolutionary ideals, they were also used as a means of revolutionary protest and ways of warning against the dangers of other political regimes, such as Nazism. By their nature, these posters are ephemeral, tied to time, place, and specific events, but many have had far-reaching and long-lasting impact, in no small part due to the astonishing craft and beauty they display. In fact, many of these posters have eventually found their way into museums, due to the strength of their designs. Beautifully arrayed, the posters in this collection offer a comprehensive look at the broad range of visual works that have both expressed and fueled one of the most powerful political ideas of the modern era. 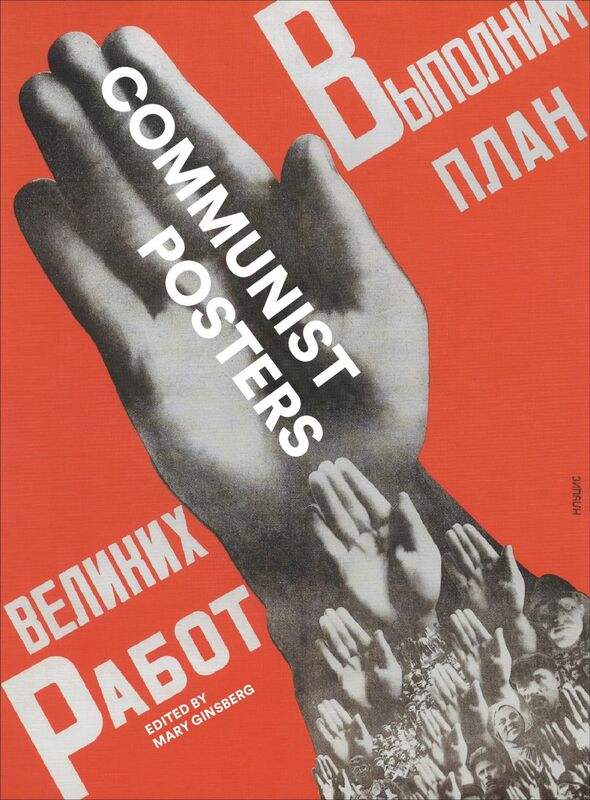 "This volume presents and analyzes communist posters from around the world. . . . The images are of high quality throughout. The specific posters were chosen to highlight important artistic and political features of this type of communication within the social and political milieu. Particularly compelling is the discussion of posters and dissent in Eastern Europe. . . . This volume is an important addition to the work on communication and legitimation in communist countries. . . . Recommended." "On the centenary of the Bolshevik Revolution, Ginsberg has edited a comprehensive presentation of the often vivid propaganda that, for the eyes of hundreds of millions in a pre-social media age, celebrated and condemned the likes of Castro, Mao, Lenin, Stalin, and the apparatchiks who tried to implement their theories and schemes. . . . Over 330 illustrations demonstrate the range and the scope beyond the U.S.S.R. and the P.R.C., with chapters on Korea, Mongolia, Eastern Europe, Vietnam, and Cuba put in context with scholarly essays that cross-reference recurring themes."